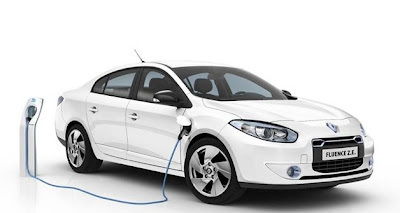 Renault has recently made public the findings of an internal study to measure the life cycle impacts of its Fluence ZE electric car compared with equivalent conventional models. Renault found that the electric car had a much bigger impact on emissions during its production phase than the petrol or diesel versions but that the initial deficit was more than overturned over a typical 10-year, 93,000-mile lifetime even using electricity at the current grid configuration. The public release of the report is timely, coming as it does shortly before tomorrow's (July 11) LowCVP 'Beyond the Tailpipe' Conference in London. Aware that the company would appear to have a commercial interest in finding emissions benefits from EVs it asked for the results and conclusions to be vetted by independent experts in life cycle analysis, and revised its report accordingly through several cycles of correction. It has also recently published the “Critical Review” alongside its own findings. It may be no shock that Renault’s report gives its own EV a good report but the independent reviewers report suggests that the improvement over diesel and petrol equivalents could even be bigger than Renault suggests. The review cites heavy metal and hydrocarbon pollution from liquid-fuelled cars as areas where Renault might have delved deeper, and notes that ordinary cars create more brake dust, for example, than EVs with regenerative brakes – a factor not considered in the study. Renault’s 120-page report assesses the impacts of long chains of industrial processes and real-world car usage against a set of six core criteria: global warming potential, depletion of resources, sources of energy, photochemical ozone production, acidification and eutrophication, the final category referring to the output of chemicals likely to harm aquatic ecosystems.